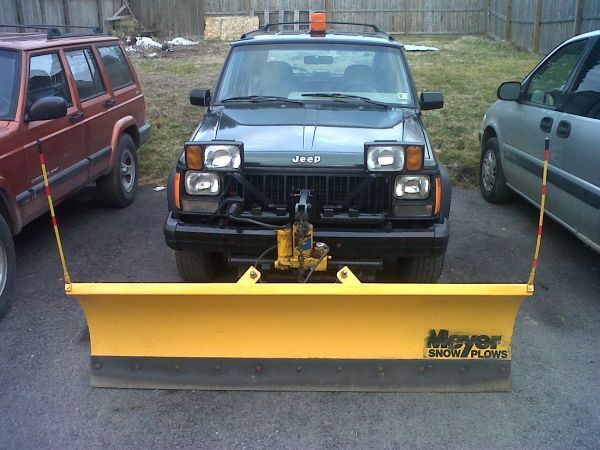 Up for sale is Meyer 6'-6" TM series snow plow. 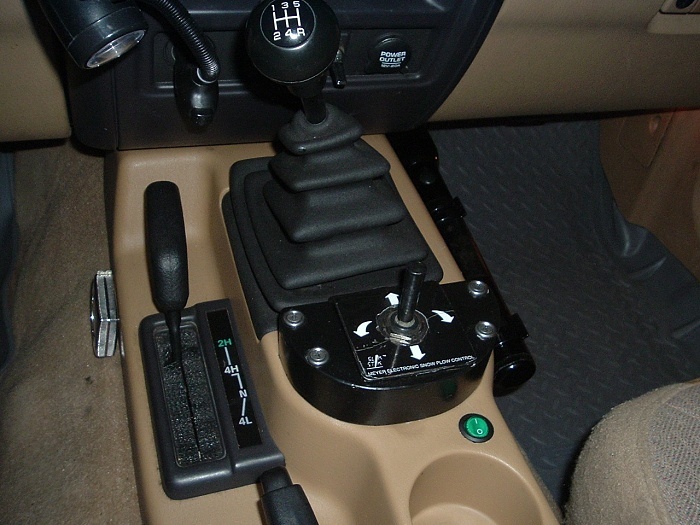 This plow mount was designed to be on a Cherokee from Meyer. This isn't some backyard welded job. It’s got some surface rust... but overall pretty decent shape. The mold board is in great condition with no holes and very minimal surface rust. The pump has been rebuilt. Its always been flushed with Meyer hydro flush and refilled with Meyer M1 Hydraulic fluid. The rams were always flushed as well. The chrome on the power angle rams are in excellent condition, no pitting. It has a slick stick for the control. Its a full power angle setup. A front bumper is built into the framing of the plow for a Cherokee. All wiring included and hardware. Works great. It has an E-47 pump that works great. Also am including a second E-47 pump with this deal in great condition also rebuilt. I had this pump as a backup unit. If you need additional pictures, let me know. I can email them to you. The Jeep that the plow was mounted on has been sold and plow package is ready to go. Asking $1300.00 New price $800.00 or make an offer.